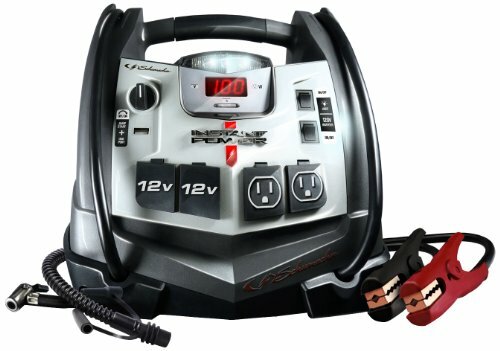 In this info-packed product review article we compare the 5 top-rated car battery jump starters, and help you to choose the best jump starter for your needs. We’ll also inform you of everything you need to know about the various battery jumpers (or jumpboxes) in the How To Choose The Best Jump Starter For You section. What is the Best Jump Starter? Weight (pounds) 23.9 lbs. 18 lbs. 2.4 lbs. Quite possibly this battery jump starter could be the Swiss Army knife of jumpers. There’s nearly one of everything on it, and two of some! Plus it’s rocking 1200 peak amps of raw juice! One of the first things you’ll notice is that this battery jump pack is large. It’s not going to slide under the seat like a lithium pack. For that reason, make sure you’ve somewhere to put it. In small commuter cars you’ll need a place in the trunk where it won’t tip over or roll around during hard braking. There are 2x 12v outlets on the front and 2x wall outlet plugs. Don’t be fooled though – most wall outlet items are made to run at 120V and this pack only puts out 12V. Many high load wall plug items won’t be able to run off this low voltage supply so be sure to check the math and conversions before being upset that it won’t run your welder. When it comes to the jump battery itself, users rave about the power and reliability. 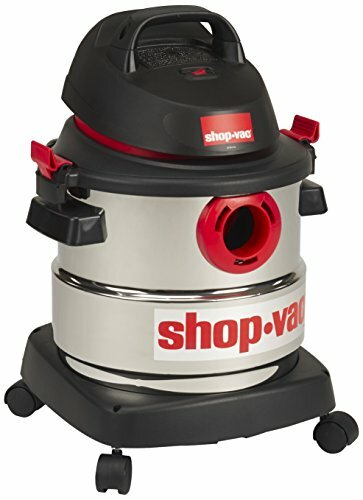 This is a solid unit with lots of extra features but at the core there’s a great jumper battery. Also see the Schumacher XP2260 Owner’s Manual. There’s a lot I like about this battery pack. It has loads of power and the few accessories it packs are well tailored and reliable. Let’s take a deeper look. I have to admit, of all the battery jumpers I’ve reviewed – this is the first one I’ve seen with an adjustable flashlight. 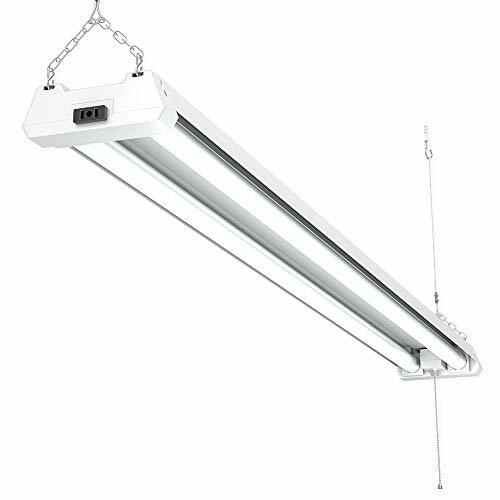 I love this features because it means you can use the light without having to pick up the entire heavy unit and point it where you want the light. There’s a single 12V outlet plug and a USB plug on the front. Honestly that’s all you really need because these are for emergencies – not everyday electronics charging. 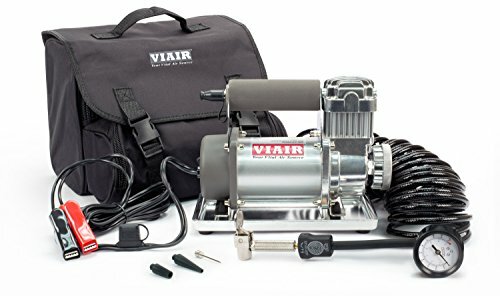 The included air compressor receives mixed reviews from users but it does pump out 120 PSI of air so it will get your tires back up to pressure in a pinch. Unlike some battery jump starters, there’s a reverse polarity alarm. If you don’t know a thing about batteries and think you might hook up your jumper backwards… well this alarm will tell you when you’ve messed up. Best for a powerful jump starter with a few extra accessories that aren’t too lavish. Lithium ion battery chargers have a serious advantage – they’re tiny and lightweight! These powerful jump starters pack a ton of energy in a tiny form. 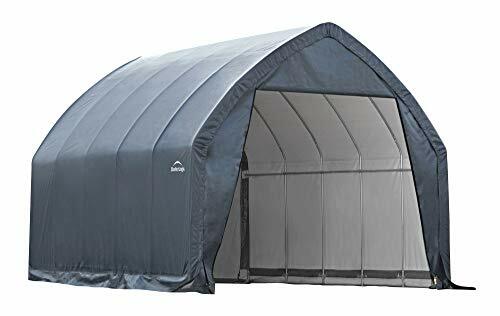 They’re ideal for small cars and keeping them out of sight when not needed. If it sounds too good to be true that a battery jumpers can be smaller, lighter, similar in price, and similar in jumping capacity you might be right. Don’t be fooled – these things aren’t magic. While they are lighter and smaller, they won’t have the same raw cranking power as a lead acid battery jumper. That doesn’t mean they can’t jump start your car, though. They’re best used when you can clip them on to your car battery and give it a moment to start filling up the battery with power before you try to start the car. This one in particular comes in 4 sizes for any need you have. They’re ideal for storing under the seat or in the trunk because they’re so tiny and won’t take up room in the car. These packs are also amazing choices for emergency phone charging on the go. Just don’t forget to recharge the battery pack so it has enough juice to start your car! Best for compact cars where it can stay hidden out of view until you really need it. Another solid choice for a small, compact jump starter taking advantage of modern lithium ion technology. This one has a wonderfully accurate digital display readout that tells you the exact health of the battery. At just under 1.5 pounds, this battery jump starter is definitely among the smallest on our list. This means you can stash it in the glovebox and it won’t rip your dashboard off. Not a bad option for those looking for compact storage battery jumpers. What I like about this battery jump starter over some others is the exacting digital display. With it you can tell the health and charge of your battery without a guess. By seeing the voltage and charge of your battery, discerning DIYers can learn alot about the overall health of the battery system. Because it’s light and small enough to handle, the included flashlight actually makes sense on this unit. I love it! They’ve also included all of the most important protections and alarms. Reverse polarity protection, reverse charge protection, and more! Best for an affordable, small form factor lithium ion battery jump pack. Looking for a battery jumper that is simple, sleek, and functional? Look no further because you’ve found the iPhone of battery jump starters. Again, like many small lithium ion battery chargers, the Winplus has a functional included flashlight. I like these because they’re much more functional than those in the heavier, bulkier lead acid battery packs. There are two USB plugs that can charge any of your USB accessories. Next to these is the charging port for the battery itself. On the end of the battery pack is the 12V output for jump starting your car. This charger has a 8000mAh capacity which isn’t much when it comes to chars. Really this battery pack needs to be limited just to small cars and absolute emergencies. It’s somewhere between a phone charger battery pack and a car jumper. 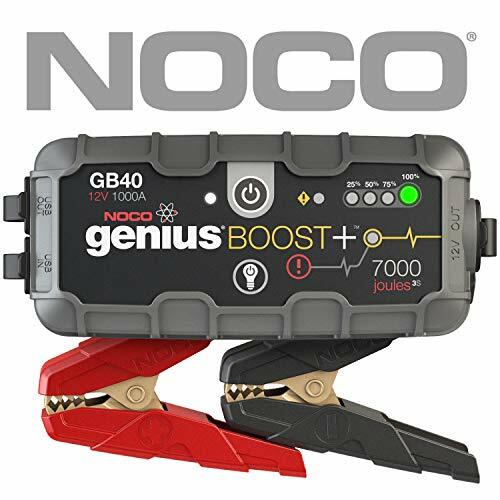 I would say this jump starter is ideal for use as an accessory charger and only in the worst emergencies as a car battery backup. Even if you don’t take particularly good care of your vehicle, none of us want to be left stranded when the battery dies one day. If you’re like me, you probably are buying a car jumper after you’ve already been in that situation. Hopefully you’re a little more forward thinking and we can help you find a battery jumper before it’s too late. Today automotive jump starters exist in several categories. Traditional battery boosters are widely available and cheap. 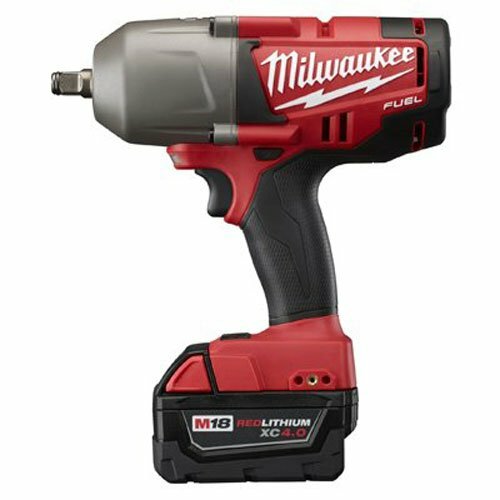 They’re reliable tools to get you out of a battery bind. They’re always helpful when family or friends need a jump, too. Today we can choose from traditional or more modern battery jumpers. In this article we’ll focus on both lead acid and lithium ion jump starters. 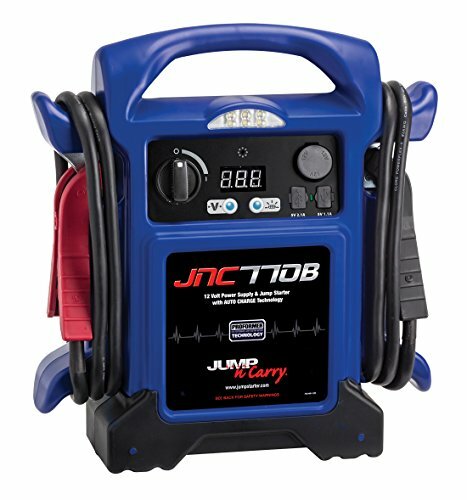 Lead acid battery jumpers are different from some modern jump starters but lead acid jumpers remain among the most popular options. 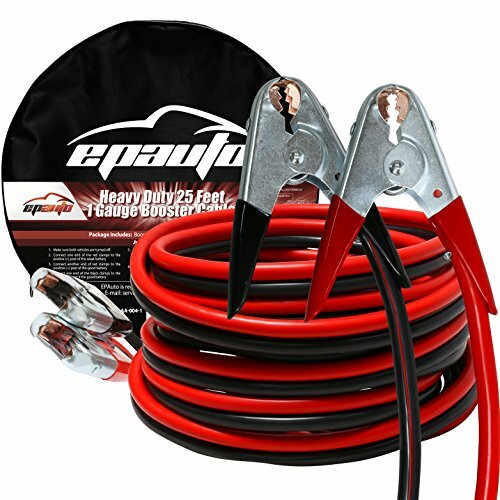 Traditional lead acid jump starters are usually quite affordable. They pack tons of power for jumping your battery directly. They’re also a time tested and well-loved style of battery jumper for your vehicle. I personally use this style because I prefer to have the extra battery power on hand and keep it in my trunk, neatly stored out of sight. Some modern lithium ion jumpers are smaller and lighter but feature drawbacks that make them a tough choice in many cases. Lithium ion battery jumpers can be smaller but they take longer to get your battery ready to jump. They’re great because of their small form factor and modern features, but less than ideal for large engines and demanding battery loads. One of the first questions that comes to mind for shoppers when considering jump starters is, “What size do I need?” This is a fair question and it’s one of the most important questions to answer before you make your first purchase. Battery jumper size is based on several key factors. The larger your engine (more cylinders and size) the bigger jump starter you will need. These large engines require tons of battery power to start up. Another key factor of battery jumper size is what type of engine you’ll be using it on. Battery jumpers needs a lot more size to handle a diesel engine than they do for a gasoline engine. Just keep in mind that you’ll need to scale the size of your battery jumper based on the size of your engine. Large 8 cylinder gasoline engines may need 300+ amp battery packs. Small diesel engines may need a similar 300 amp battery pack. Jump starters will have several key statistics listed when purchasing. Cranking amps and peak amps are two critical numbers you need to check before you push that “buy” button. Many battery makers will use these numbers to slightly mislead customers. Peak Amps are the numbers of amps coming out of the battery pack the instant you turn over the engine. That peak draw rapidly fades off to a more sustainable load called cranking amps. Peak amps are always quite a bit higher than the more sustainable cranking amps of a battery. Some makers will list peak amps only which misleads some customers into believing the jumper is “better” than it may really be. Cranking Amps refer to the longer sustained output that happens after the initial burst of power tapers off. When you turn the key and begin cranking the engine over, cranking amps is important from seconds 2-5. It’s this cranking amps measure that will provide the power for longer starting bursts. Peak amps provide that burst of energy to get the car engine started moving. Cranking amps provide the power to keep turning the engine over until it finally starts. Keep this in mind particularly if you have an older car that chugs over a lot before it starts. This is a major factor that most people will overlook when buying a car jumper. Jump starters using traditional lead acid batteries, in particular, are susceptible to output drop in cold temps. For those of us who live and spend time in cold climates where temps regularly plunge near zero and stay there need to be concerned with this. If you live in an area where temperatures rarely or never fall below freezing, this may not be as big of a deal. As temperatures drop, the performance of lead acid jump starters also drops. In fact this drop can be so sharp that it can cut the performance of your jumper in half. 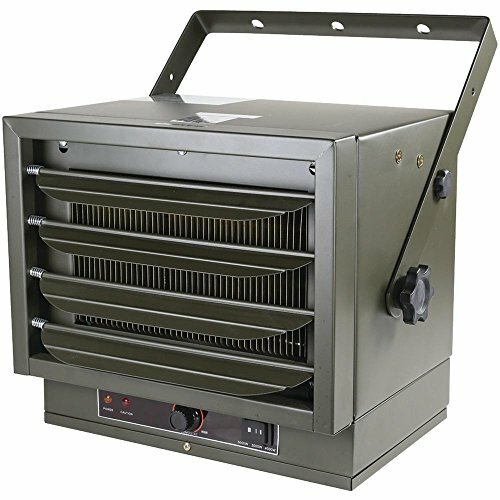 For climates where temps often fall below freezing, purchase a battery jumper with 2x the output you think you need! The colder the temperatures near you, the bigger of a battery jumper you’ll need to make up for it. If you live in Alaska and the temps are regularly sub-zero you may want to go even higher. The only other solution to this is to always keep your battery jump starter warm. 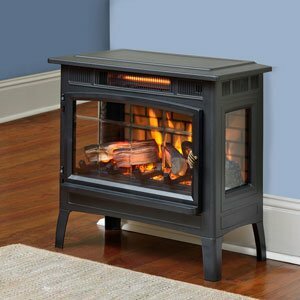 As long as the battery itself is at room temperature, the effects of cold outside air will be very minimal during use. There are tons of extra goodies that can be packed into battery jump starters. These range from useful to odd and useless. I’m going to review a few of them so that you don’t end up spending money on stuff that just won’t help you out. 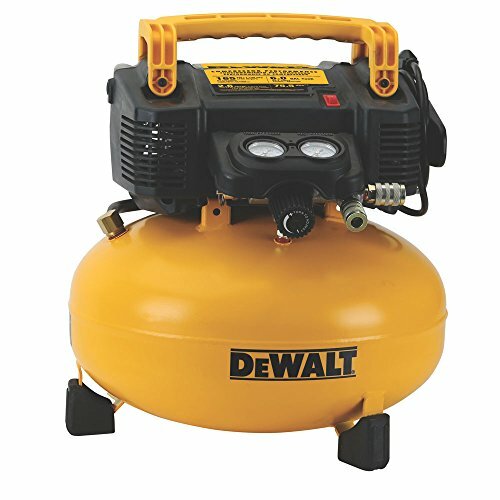 Air Compressors are often added to battery jump packs. These can be handy for emergency situations but they often don’t even have enough power to fully inflate a tire. 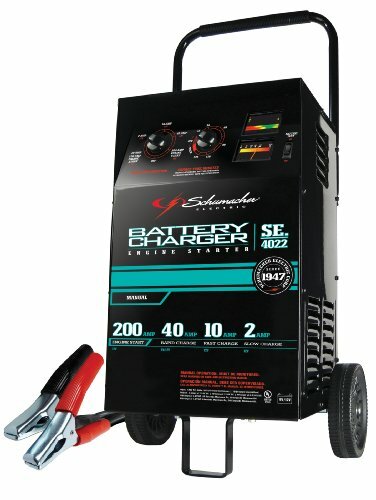 Read reviews and find out if the air compressor on your battery pack actually works well. If it does, it may be a useful feature. Flashlights seem to be a common feature on battery jump starters. These might be handy if you don’t mind lugging around a 25 pound battery pack and pointing it at whatever you want to illuminate. A decent LED flashlight weighs a couple of ounces and works a whole lot better. If you can find a battery jumper with a removable light, then go for it! USB & Cigarette Lighters are actually handy additions to a battery pack charger. 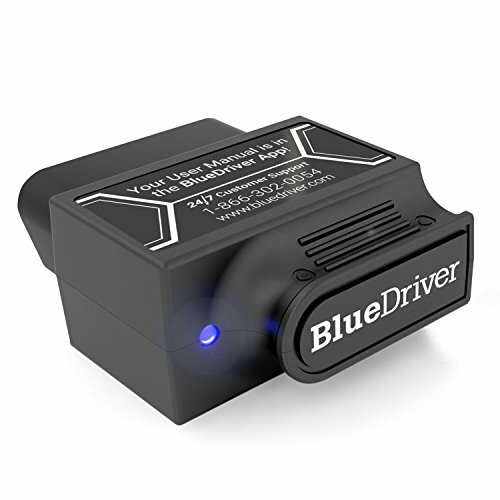 I’ve used these several times for emergency device charging because a car battery jump pack has more than enough power to charge most electronics and still have power to start the car when needed. Without a doubt these are the most useful extra feature on any battery jumper. Circuit Protection comes in all forms when portable battery chargers are involved. Short circuit protection saves your battery pack from bursting into flames if the leads are connected and left together on accident. Overcharge protection saves your battery pack from bursting into flames if you leave it charging on the wall too long. If you’re unsure that your battery pack has these, check the manufacturer’s specs. If you find a battery pack that doesn’t have some form of minimal circuit protection then skip it. Most good one have these safety features built right into the unit – it’s critical for your safety and the longevity of the battery. Whether you choose lead acid or lithium ion, you’ll need a battery pack that can jump your vehicle. Don’t make the mistake of going for a cheaper or smaller battery pack. Lacking the juice to start your car will still leave you stranded. I’d say it’s better to err far on the side of caution – bigger is better. When properly selected and sized for your vehicle, a good battery jump starter can last years. Keep them charged and treat them well and you’ll have a companion for those emergencies when the battery in your car just seems to roll over and die. Thanks for reading The 5 Best Jump Starters. We hope this article has helped you to discover the best battery jumper device for your needs and your preferences. You might also be interested in our related review article, The 5 Best Portable Jump Starters.